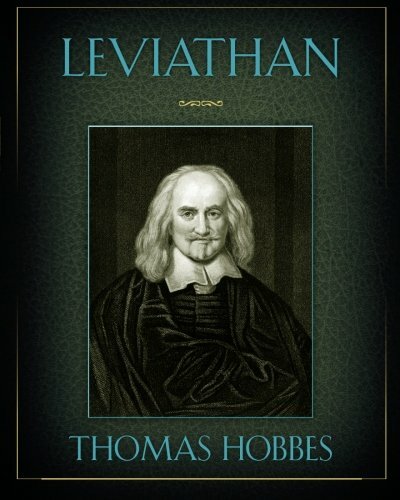 Thomas Hobbes (5 April 1588 – 4 December 1679) was a noted political philosopher, who was best remembered for his work ‘Leviathan’ which established some of the basic principles of English liberal thought. He termed the phrase social contract, which states that all legitimate political power must be representative and based on the consent of the people. Thomas Hobbes was born in Malmesbury in 1588. He liked to recall that he was born prematurely because his mother heard the approaching Spanish Armada. His father was a wayward country vicar and he was mainly brought up by an uncle. He was able to go to Magdalen College, Oxford University to study between (1603-08). Hobbes was employed by the Cavendish family, the Earls of Devonshire. He was able to travel widely and he benefited from their lifelong patronage. On his travels, he was able to meet with some of the leading thinkers of the day, such as Bacon, Selden, Ben Jonson and Galileo. Despite being a Royalist, he was also often criticised for being an atheist. 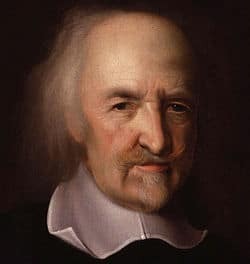 However, Hobbes, himself, didn’t see himself as an atheist, but he did write against Divine Providence and against the political power of religion. 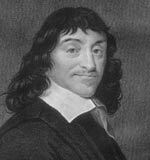 He also wrote a critique of Descartes’ Meditations which tried to prove the existence of God. In 1651, he wrote his most famous work (Leviathan) which constructed a materialistic and rational system for explaining metaphysics, psychology and political philosophy. Leviathan Pt. I, Ch. 5.
and thus a sovereign state should seek to promote an enlightened self-interest in which we form a social contract to prevent the abuse of power. – Leviathan, The Second Part, Chapter 30: Of the Office of the Sovereign Representative. In 1652, he returned to England, after making an agreement with Cromwell and his parliamentarians. He continued to write polemics for the rest of his life. However, he was helped by his old student Charles II – after his restoration to the monarchy. He continued writing well into his 80s, on a wide range of subjects from the causes of the English civil war to translations of classic literature like Iliad and Odyssey.